Check out this screen shot from Epic Mickey! 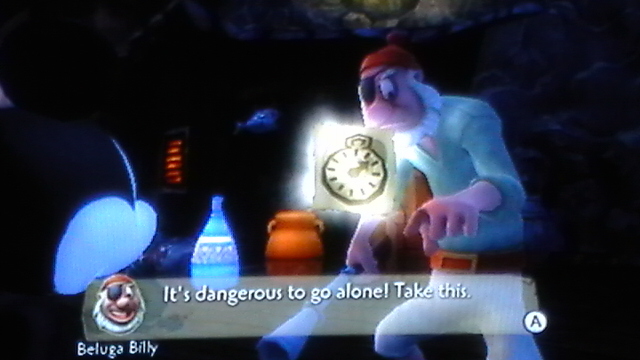 It shows a clear reference to the first game in the Zelda series. It’s an old man helping the game’s hero! It’s no surprise to see this reference, though. Warren Spector, the game’s director, is a huge Zelda fan, and in a recent interview he made a statement the The Legend of Zelda: A Link To The Past is his favorite game of all time. The game, set in a forgotten and corrupted land of all things Disney, is sure to be stuffed full of references and characters from Disney and Pixar. Let us know what other references you find, and what you think about Epic Mickey in general.